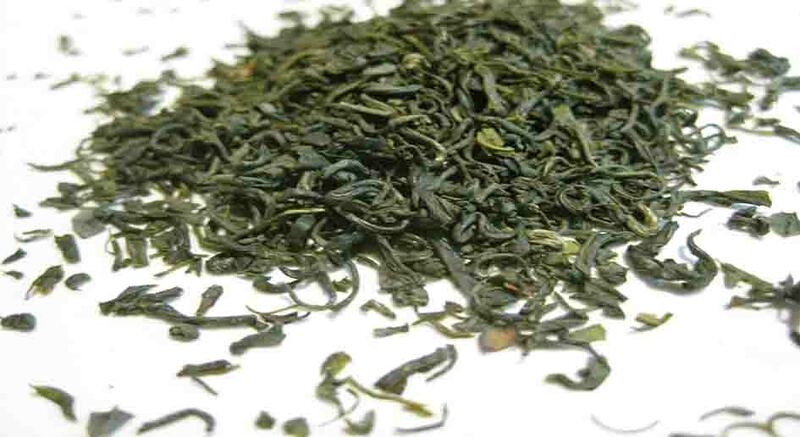 Green tea – undergoes no fermentation process. Rich in vitamins and high antioxidants. It is believed to fight free radicals, release fatigue, cure body heat, and lower diabetes level. Its light flavour and refreshing aroma suit to be drunk during afternoon till evening. When brewing green tea, warm water should be used instead of hot or boiling (preferably about 70-80⁰C of water). Best utensils to use are those made from glass or ceramic. The best way to keep your green tea fresh all the time is to put in a fridge in a safe air-tight container. *Yun Wu is perhaps the most unique of all green tea types. It is originated in Japan where the tea is highly prized. The Chinese have started planting it in high altitude of mountain in Zhejiang, China. Though it does not give the same appearance with the Japanese, but its soothing seaweed aroma and taste can be comparable. 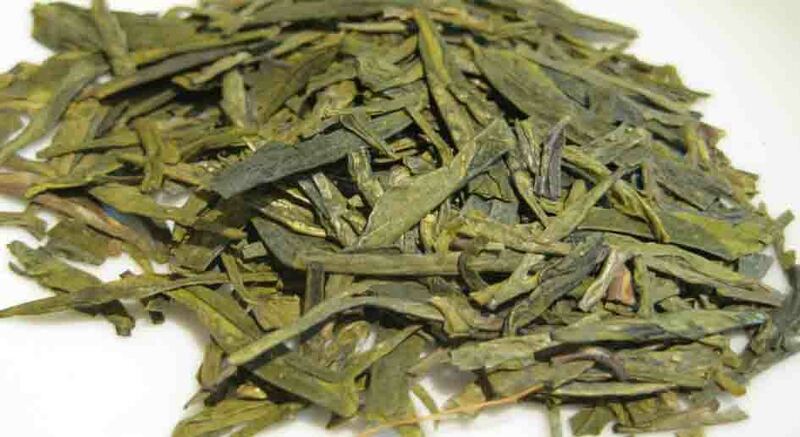 Smokey Green Tea is an everyday Green Tea. 1 teaspoon can be infused for 3-4 times in a cup with hot water. Like its name it has smokey aroma and taste. Good for digestion and help to lower your tension. Long Jing Dragon Well is the most famous Chinese Green Tea. Legend has it that a dragon (Long) suddenly came out from a dry land after a long drought. The crack then made into a well (Jing) that supplies water to the people even until present day. Long Jing tea gained its popularity due to is clear, yellowish colour infusion with green bean aroma. 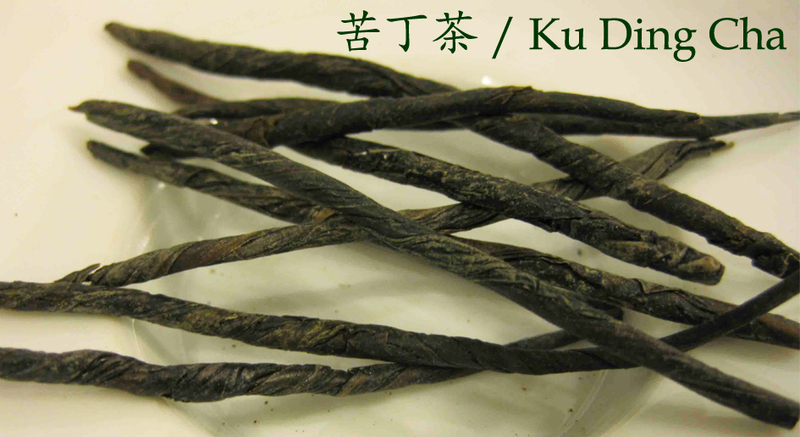 Bi Luo Chun is named by Emperor Kangxi of Qing dynasty due to his love of this elegant grassy aroma and bean taste. With its curly shape like snail and harvested mostly during spring, it is called as Green Snail Spring. — Bi Luo Chun 碧螺春 – 75gr @ Rp. 250,000. Ku Ding Cha is for those who love bitter. Its one-rolled-leaves will open up when it is brewed. Light green colour infusion, very bitter in taste with sweet after taste. The uncultivated Ku Ding Cha has its charm to its natural forest harvest. Watered by dews and mountain rains; delicate bitterness in taste. To order, write your name, contact number and chosen tea(s) and email to koningspleintea@1teahouse.com. (Email subject: Green Tea Inquiry) or Whatsapp: +62-81299139683 / Line: 1teahouse or wechat 微信: thetstory.. For internatioal shipping, inquire us about the delivery fee to your country.